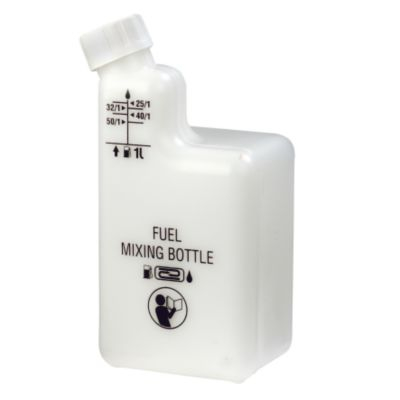 Special bottle to mix petrol with 2-stroke oil for 2-stroke machine. The easiest way to get your fuel ready. You fill the bottle with petrol up to the mark, then you add oil up to the oil mark according to ratio needed. FREE DELIVERY AND SPECIAL PRICE ONLY WITH MAIN PRODUCT.